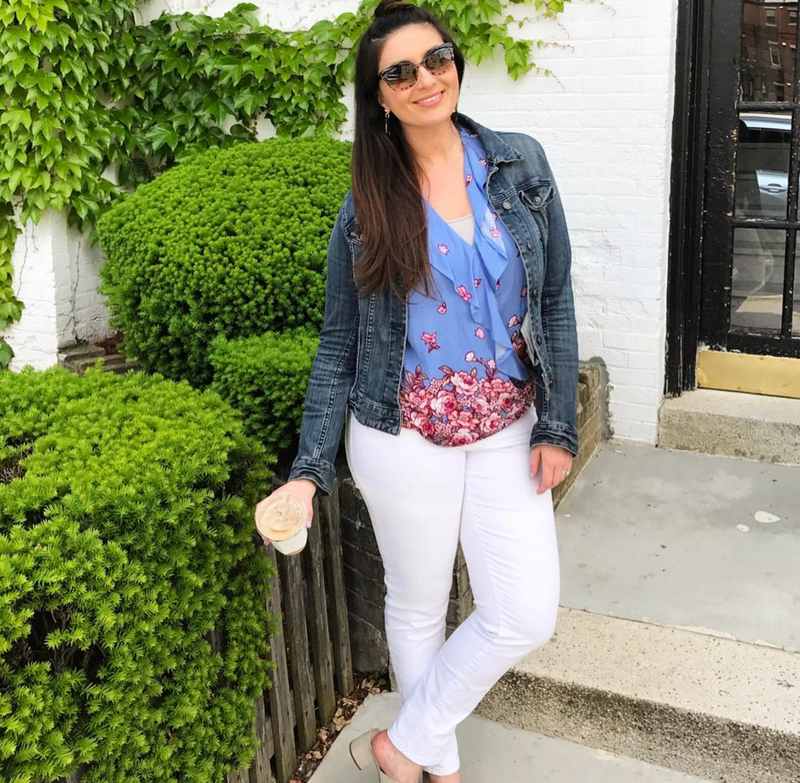 I wear my Kate Spade Amara's non-stop, it's such a classic frame! These Free People frames were another great trendier pair to get for a fraction of some of the designer prices out there! The pink cat eye frames were a purchase last summer and for $11 they have held up so well and surprisingly don't have any scratches yet! Do you have a favorite pair of summer sunglasses? I am loving those Kate Spade and Quay pairs. My hubby is not loving the cat eye ones I recently picked up so I'd like to grab another pair! This is great, ty for sharing! Have a great week! I love your sunglasses!!! And really, for such great prices, you cannot beat them! Beautiful Babe in shades!! I love the saves just as much and tend to buy the less expensive sunnies as I always scratch or lose them. Great finds and your own collection is fabulous!! Love all these fun summer sunglasses! The save option for the Prada round sunglasses is almost identical! Happy Monday, Biana! I'm seriously obsessed with some of these save finds! They are nearly identical to the pricier ones! Quay has such a fun line. I haven't had the best luck with quality with them but I am kinda rough of my sunglasses lol. I am loving all the big mirror aviator looks! These are some of my faborite posts! You've got a great collection of sunnies! I'm all about finding mine at Target - great prices & I never feel guilty if I break them! Love this post! I always struggle to pick out the perfect shades for summer! Anxious to give one of these a try! I have been buying more and more save sunglasses lately and I love them! I can get into a trends without breaking the bank. And there are so many cute options! Love your picks! I am the same way, I have a few classic more expensive pairs that I really try and not toss in my bag or let my kids get ahold of. Then I love a good trendy cheap pair for the summer! I always grab a couple pairs of cheapie sunglasses (especially in summer) in case I lose them or my kids break them. But I LOVE those Karen Walker splurges; so pretty! Oooo I love a good splurge vs save post!!! And I'm loving those Kate Spades!! Sunglasses are my shopping weakness! I'm like you, I toss mine around all summer so I like to go for the save versions. I have a few nice pairs for certain occasions, but other wise I can't be held responsible for what I do with them lol. I do love my sojos after you recommended them awhile ago, can't beat the price!! I'm the same, I have one nice pair and the rest are cheaper versions of what I like. I'm so rough on my glasses, it doesn't make sense to fork out that kind of money! My family is coming into town for the 4th too and I am so stinking excited. Such fun shades, love all your picks. So many cute picks! I've been on the hunt for a new pair because somehow all of mine (cheap & expensive) got scratched and it drives me crazy! Sunnies are my weakness, so I love everything about this post! I've been looking for a dupe to the classic Ray Ban aviators, so I definitely need to check out those Quay ones. I'm typically pretty hard on sunglasses too, but when I spend money on them, I try to take care of them better. I love those big circle tortoise shell ones that you have! They're perfect for summer! So fun! That 2nd picture is simply fab - those look great on you! This time of year is always exciting with summer activities, especially as we near the 4th; it sounds like you have such fun plans! As for the sunnies, I absolutely adore your selection! They're a great mixture of classic and trendy and I love that you've also included a mix of splurge and save options as well! Thanks for sharing, beauty, and I hope you're having a great start to your week so far! So many fun shades! Especially loving that last pair you have on! Aviators make my face look sad, but I'd love those cat eye glasses!! I have been wearing a lot of sunglasses from BP at Nordstrom!! I am so cheap and lose/break my glasses all the time so these save options are perfect. YES! I love a good pair of statement sunglasses!! I pretty much always wear aviators from Target. And by pretty much always I mean always lol. I love the way they look on me & I lose/break too many pairs to spend more than a Target price. I am the worst with sunglasses - they fall off my head and I scratch the lenses all the time, so I am totally looking just at your "save" column haha. I especially love the cat eye ones! I love a good splurge/steal line up! The Prada steals are SO good! I love all these fabulous shades! I tend to switch my sunglasses with my outfits, so this post was perfect. THe Prada round saves look identical! I love sunglasses and have quite the little collection of designer ones. To be honest, I get them all from Nordstrom Rack for 1/3 of the price!!! I got two Kate Spade ones last summer for $50 each. Holla! I'm sunglasses obsessed right now! So many adorable dupes--I LOVE those Quay aviators! I have them in black and they're SO good! Happy Monday love! Omg the Prada rounds! I've had my eyes on them since forever! I have been loving fun, trendier sunnies lately! But I am just not willing to spend a ton of money on them, since who knows how long they'll be in style. Loving all of your options girl and your collection! OMG I've been looking for trendier sunnies lately, and these are all just divine!!! Love! I always buy the cheapest shades I can find but had so much trouble finding a new pair that I finally "splurged" on a $60 pair. I feel like they can be destroyed so easily! Is there any pair of sunglasses that you do not look AMAZING in?! You look so cute, girl! So many cute sunnies! I have several pairs that I wear religiously but could use a new pair. Loving the save options! Need them all!! 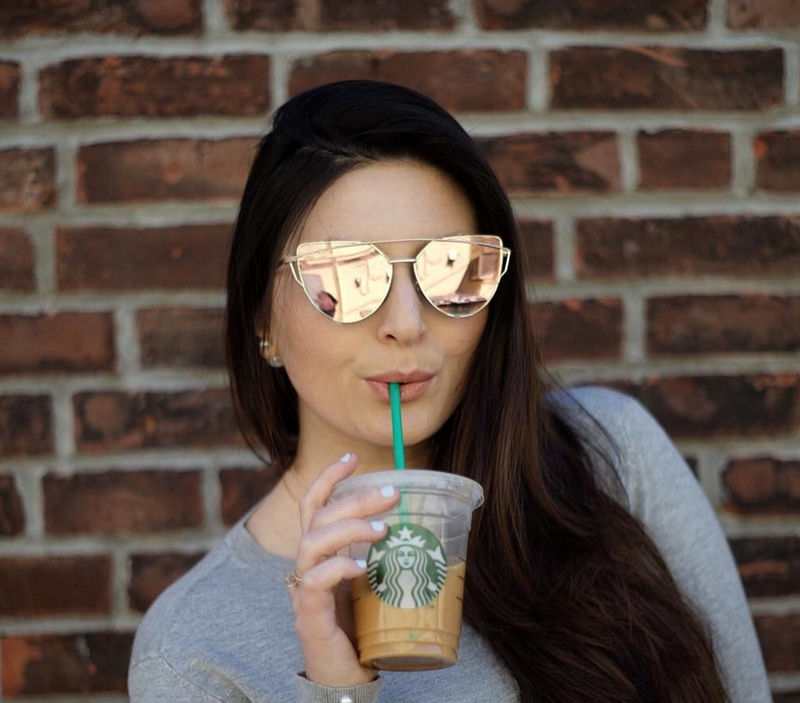 I'm all about saving, especially when it comes to sunglasses! All of these are calling my name! Quay sunnies are seriously the best and so affordable! Love all your picks! I actually picked up my latest pair of sunnies at 5 Below. They're a pair of silver aviators with blue/purple lenses. Love this! I usually just wear my ray ban aviators but I just got some thick cat eye ones in my box of style and now I want to change up my looks! I love the second pair of glasses on you. So fun yet I can't tell which ones they are on the list. I've also been eyeing those cat-eyed mirrored sunglasses on Amazon. So pretty and a steal of price! 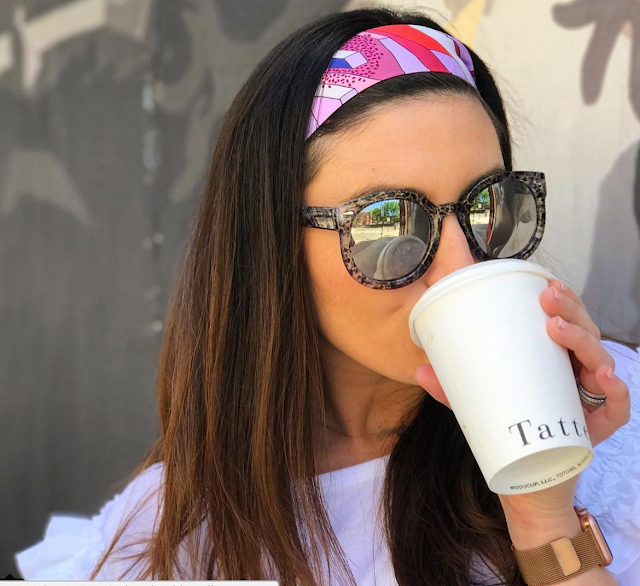 Nice round up of fun and unique sunnies for the summer. I love these, so cute! 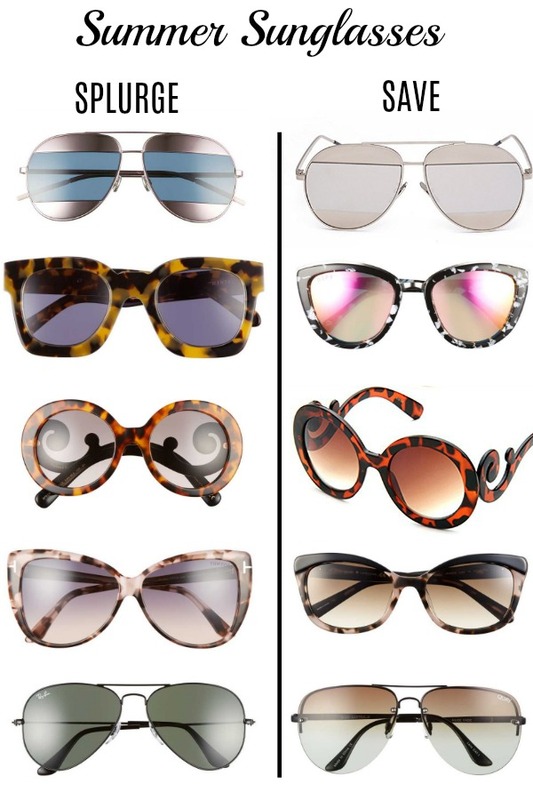 I've always loved tortoiseshell sunglasses the best, but all of these styles and colors are so pretty! So many cute sunnies! I actually like a lot of the steal ones better! Beautiful girls, I know everyone wants more and more beautiful. Find a suitable dress,second hand wedding dresses london there are many styles, here are beautiful and elegant dress,strapless wedding dresses do not miss oh meet.If you need dress,I can give you a very cheap price. I love those free people frames!! You know how I love my sunglasses- and I love finding dupes like these! Great list, lady! LOVING this post. Obviously the name brand sunglasses are made better, but with how crazy summer gets, I end up being not to nice to my sunglasses (especially when at the river/vacation-- THAT and I've lost/Broken/Ruined so many of my nice ones!) So having these less expensive items makes me not feel so bad if something happens to them lol! I always love a good splurge/save post, especially when it is concerning sunnies. Great post Biana! I just bought a new pair for $90 last week which is a lot for me because I am constantly dropping my sunnies and leaving them places!! Sunglasses are definitely not an item that I will break the bank for! It is amazing how you were able to find these dupes! The save and splurge all look the same to me, which is great for anyone shopping on a budget! Super cute picks girl! The Kate Spade sunnies are super cute. I love my Ray Bans, although sometimes I feel like they don't block out as much sun as I'd like. I have the Amazon friendly Dior Aviator knock offs too! People always ask about them when I wear them!